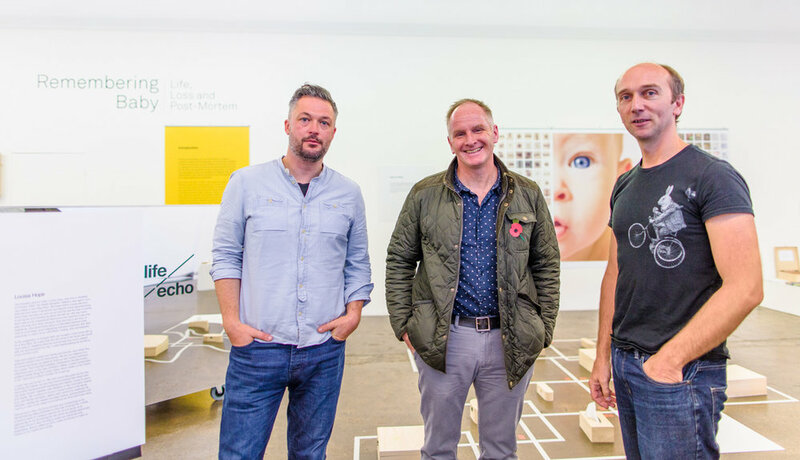 When the Remembering Baby exhibition was open in London and Sheffield we talked to different people from the press and media about the research and exhibition. Some individuals who came to see the exhibition also published reviews online about their visit. A section of these interviews and reviews can be accessed by clicking on the links below. pictured recording an interview for Eddie Mair's PM show (aired 6th November 2017).